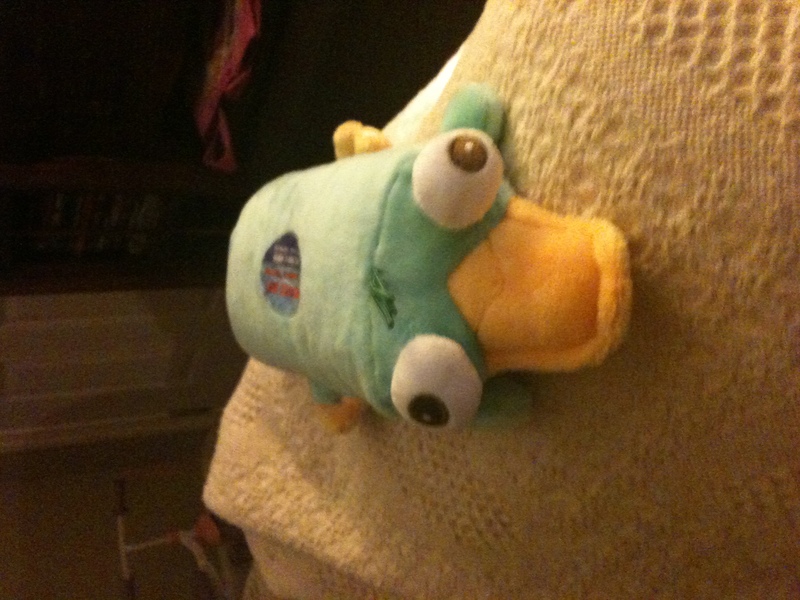 This is Perry the Platypus from Phineas and Ferb, the best kids show ever. But what you can’t see from the picture is the ingeniously hidden whoopie cushion hidden inside. When you squeeze him he farts and his tail flips up. Hours of laughs! At least, hours of laughs for Bug and me. G, not so much. Not into fart humor. Which makes it even funnier for Bug and me! Sorry G! This entry was posted in Marriage, Mommyhood. Bookmark the permalink. 3 Responses to The awesomest toy ever! My husband would probably get a kick out of that. He thinks farts are funny, like when the baby or the dog farts, he’s nearly weeping from laughter. We got it at our friendly local Disney Store! I was in last week and they were still in stock. They are such a hoot, aren’t they!